Has BBQ always been your passion, or did you have a career before? Bbq and cooking overall has been a huge part of my life. I grew up with lots of family that cooked but no one ever grilled or bbq’d. I got into it the “Que” back in 1999. How did you come up with the brand name Caribeque ? What is your most popular product and why do you think that is? I would say Honey Heat and Smack Sauce are pretty big, but honestly, all of our seasonings and rubs sell petty evenly across the board. What is the story behind creating that product? Honey Heat was just my desire to create a sweet heat flavor for chicken and pork and now it’s put on everything from pizza crusts to ice cream and popcorn. The Smack Sauce story is cool. One buddy in Georgia mixed mayo and Honey Heat rub and told me to try it. Then another friend added another ingredient, then by the time my co-packer got a hold of it and added a few more ingredients it was perfection. Do you have any new products in the works? Can you share any details? I do actually, let's just say the brand is going to be adding some international flavors! What do you think people love most about Caribeque? Honestly, I think the fact that we are practically sugar-free, low sodium and just a clean product. Secondly, I would say having access to the owner. I live for my customers and literally answer and/or reply to every post or dm. Do you want to say anything to your fans, followers, and supporters? Big Love to all of you! Thank you for inspiring me daily! Do you have any words of wisdom for those who are looking to make a name for themselves in the world of Barbecue? Be you, find your lane and stay in it. Don't try to be like the next person, just do you. 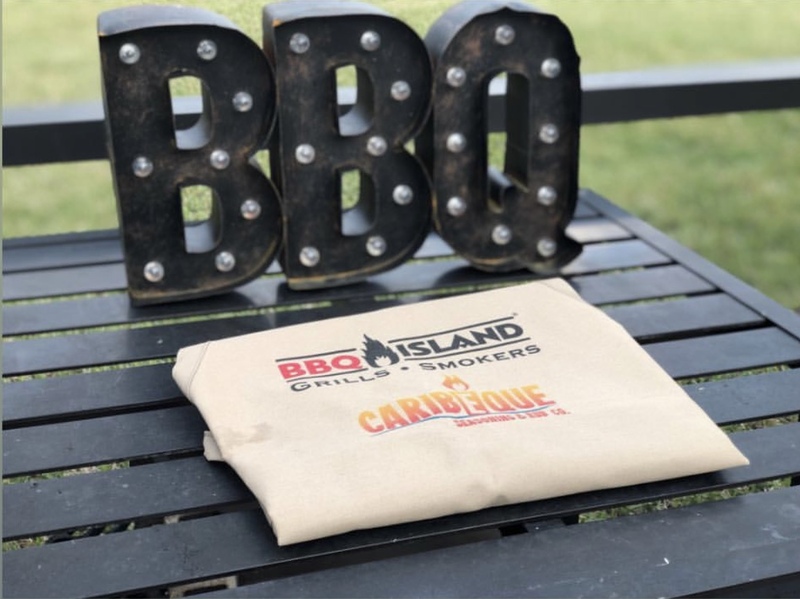 We’re excited to partner up with you on this month’s giveaway, care to tell our BBQ Islander’s what they can win if they choose to participate in this month’s contest? Big things are coming, so be sure to set your notifications for @caribeque and @bbqislandinc ! I just want to thank everyone for the continued support as we roll into year number 4!